De La Soul performs at a Spotify event in New York in 2016. 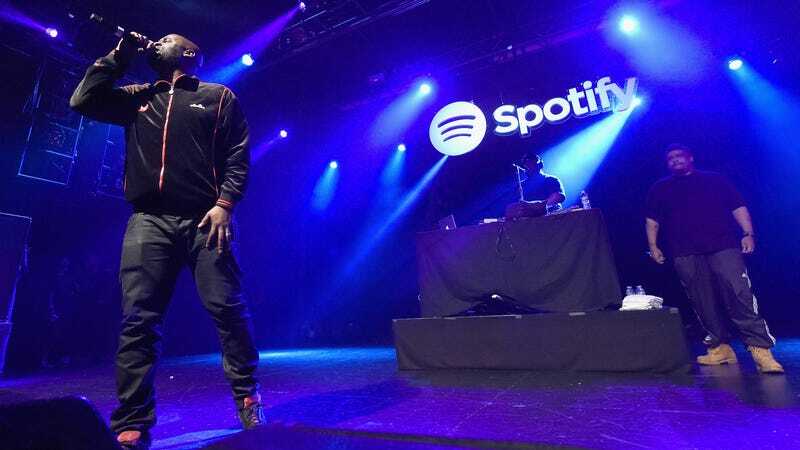 Music streaming service Spotify no longer officially supports Apple’s Safari browser, and Safari users who attempt to access it say they are being redirected to use another browser or download Spotify’s desktop client. Per the Verge and Engadget, the company will only say “recent updates” have made the two programs incompatible. Users on the Spotify forum have flagged what they believe is an incompatibility with the Google Widevine content decryption module, which Spotify uses and Apple does not support, though the company has remained mum about whether Safari support is coming back anytime soon. On Spotify’s website, the list of compatible browsers now includes just Chrome 45+, Firefox 47+, Edge 14+ and Opera 32+, with a mention of Safari nowhere to be seen. Users can still easily access the service using one of Spotify’s official apps, as well as simply log on to Spotify using another browser, so it’s unlikely anyone would be more than somewhat inconvenienced by the bug. Safari comprises a surprising share of all browsers at 25.4 percent, per ZDNet, but that includes a large number of mobile users who always have the option of just using the app. Gizmodo has reached out to Spotify for comment, and we’ll update if we hear back.